What an interesting teqnique. 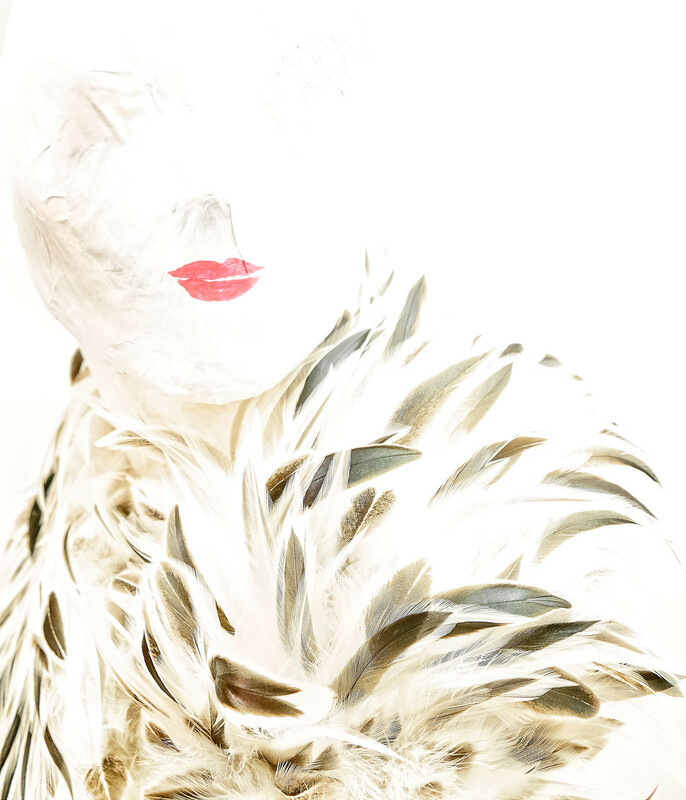 I do find my self more drawn to the ephemeral feathers than the red lips. I see an elegant lady out for a VIP-guests-only Fashion Reception at SAKS in New York. Or this could be a picture that introduced a major article on Milan Fadhion week in the Nee Yorker. The layout of the feathers sketches a woman who is very fashionable and has a great wardrobe for any social event at a moment’s notice. I was baffled by the concentrated ambience of fragility and made my shot. In art, I used to think how great a painter was who could reproduce the appearance of a glass of wine with cut crystal pattern and wine with a perfect level or portraits that looked real. Gradually I came to feel that this, although enviable as a an amazing workmanship skill, needed soul to become “art” for me. In photography, gradually I came to demand a reflection of some spirt of life and secondly a space to allow my own imagination to play. In abstract work like yours, I demand less in detail and exactness and in order to freely gavotte in the creative space you have shared with me. In this manner, Wolfgang, your “Woman” is a gesture of trust, that I can imagine and it works!